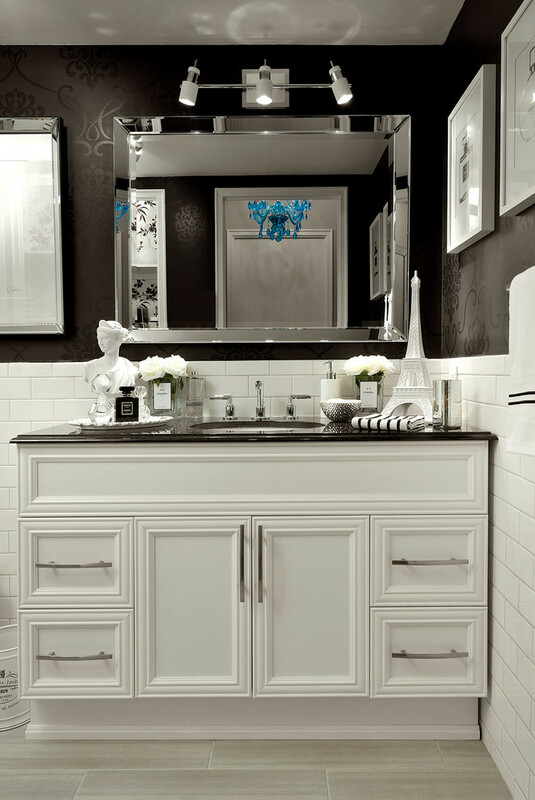 We chose a clean, white vanity from www.cutlerkitchenandbath.com with ample closed storage and topped it with a black granite counter top. 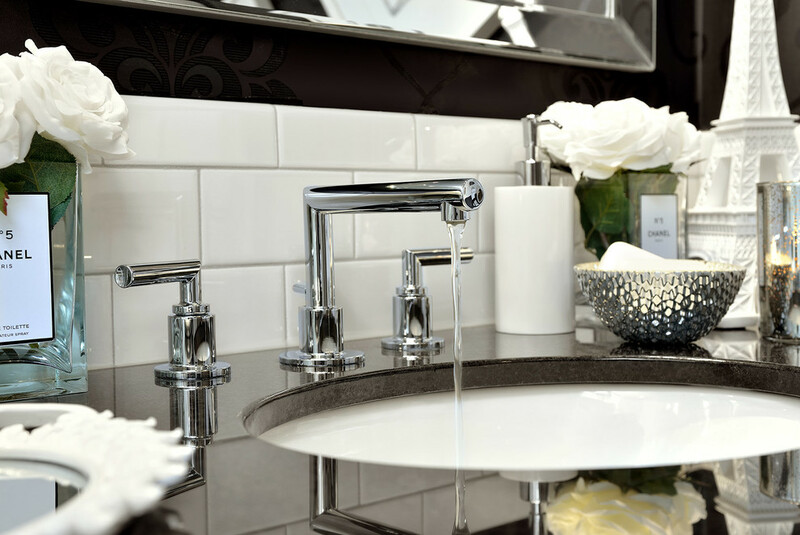 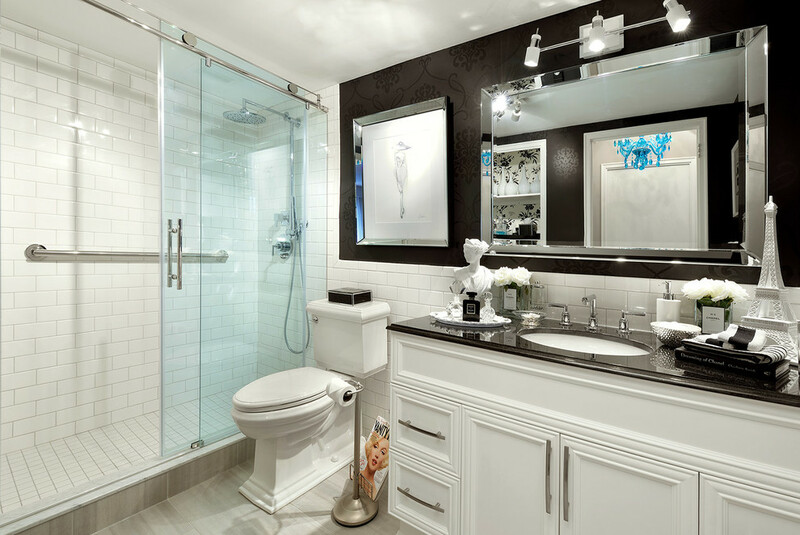 The vanity’s classic details, European quality hardware and traditional style make it appear both handsome and feminine at the same time. 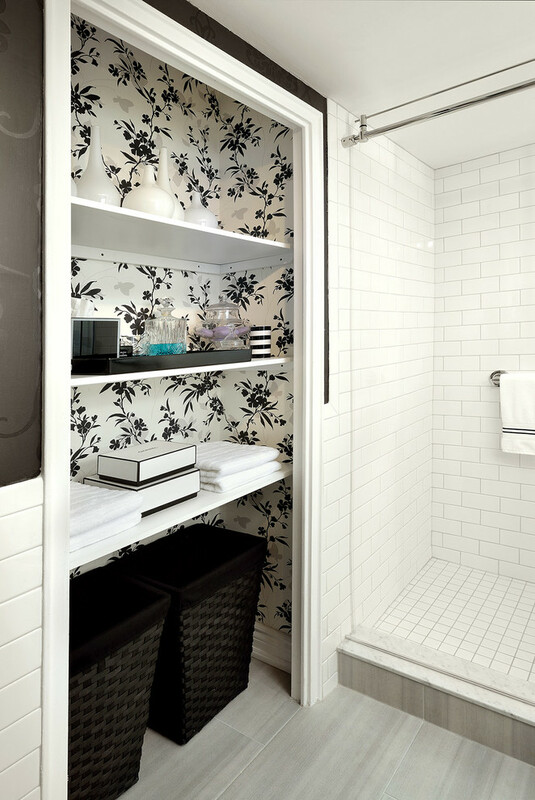 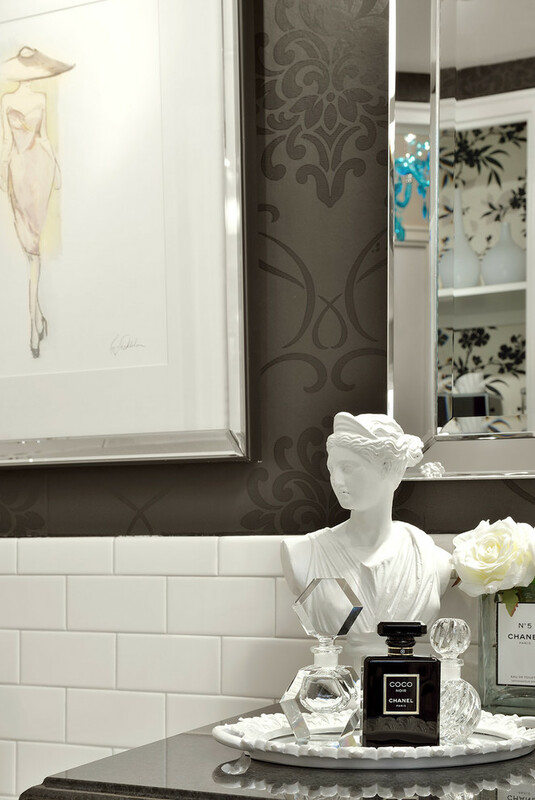 We removed the closet doors on the bathroom storage closet and used a beautiful black, grey and white floral print wallpaper to create a display area that is functional but still pretty.